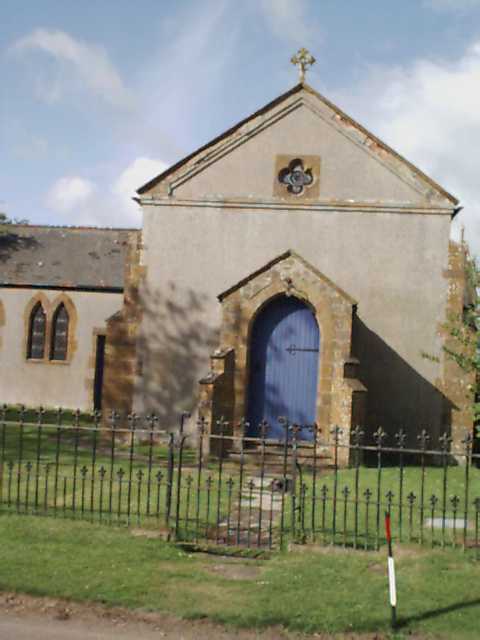 With regret Kineton Methodist Circuit agreed to the closure of Oxhill Methodist Church at the end of June, 2003. Subsequently the building was transferred to private ownership. Since then it has been the subject of major restoration and refurbishment. On Monday, 26th November 2007 The Old Chapel was dedicated as a place of meeting and refreshment by the Rt. Revd John Stroyan, Bishop of Warwick. Notes for Family Researchers looking for the Methodist Registers relating to the Chapel. The Methodist Registers may be helpful for family historians. Oxhill has a long tradition of Methodism, and during the latter half of the nineteenth century, the Chapel had a greater following in the village than the Church. In the very early days of the Methodist Movement, when it was still small, Oxhill was in the London Circuit. Early in the nineteenth century Oxhill became part of the Banbury Circuit when it was formed. In 1847 the Kineton Circuit was set up, to include Oxhill. The use of Methodist Registers, at first only of baptisms, developed gradually, and became more general by the second decade of the nineteenth century. Transcripts of the Banbury Methodist Baptism Register, starting in 1815 can be found in the Centre for Banburyshire Studies, at Banbury Library. (Tel 01295 262282). These include a few entries from Oxhill. Only nine have been identified between 1829 to 1846, all relating to a small group of families. Many in the village continued to accept baptism, marriage and burial within the Established Church, encouraged no doubt by a certain insistence by Oxhill Rectors. In 1847, the Banbury Circuit was divided, and thereafter Oxhill fell in the Kineton Circuit. The Kineton Circuit Registers are in the Warwick County Record Office, and contain an increasing number of entries from Oxhill as Church and Chapel diverged.